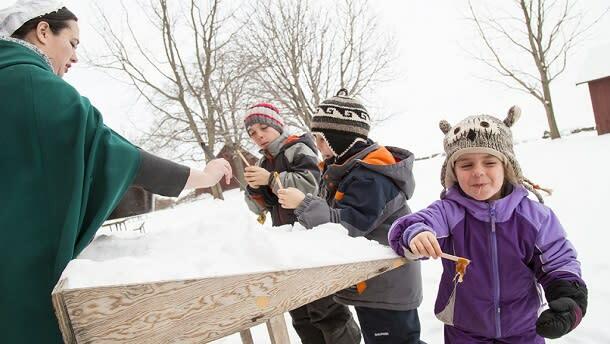 Winter fun isn’t just skiing and skating, it’s also the best time to taste the most local sweet treat around – maple syrup! This season, make sure to check out some delicious Sugar Bushes around Ontario’s Southwest for family fun. Come out to the heart of Haldimand County and experience Sugar Bush Tours and Pancakes with Richardson’s Farm. Take a guided tour and see how the sap is collected and enjoy some delicious sweet treats. Make sure to end your time with some steaming pancakes made just for you! Take a road trip out to Elgin County for a unique sweet experience for the entire family. 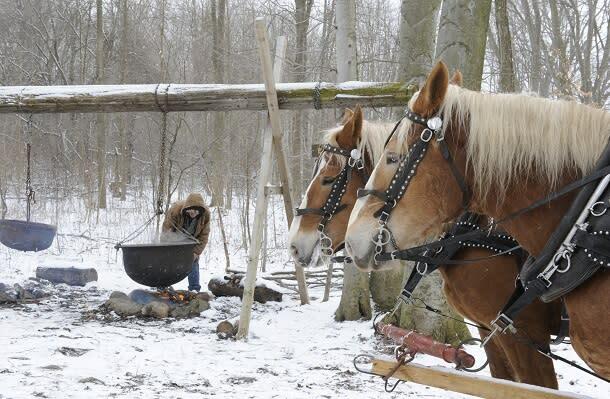 Enjoy a wagon ride through the Springwater forest or visit the old-fashioned sugar shanty for a tasty demonstration. With such an easy to reach location and so much to do, this Sugar Shanty is a must see this season. This best kept secret is a sweet surprise in London, Ontario. The former pancake house is a fully operating sugar bush concentrated on sharing the experience and helping you make new memories. Visit them for a tour or to pick up some local syrup - you’ll be sure to want to take a part of this sugar bush home with you. Save the dishes and visit Jakeman’s Maple Farm for warm, fluffy pancakes covered in fresh maple syrup. Visit their store to bring some maple goodies home or stay for a tour for a behind-the-scenes peak at the magic behind maple. This age old trade is perfected by the Jakeman&apos;s and a staple in Canadian traditions. With a season full of events, don’t forget about the Essex Regional Conservation Authority for family fun! From March Break events to Dinner Fundraisers, the John R. Park Homestead is full of sweet surprises. What better place to experience true tree tapping than a local conservation area! Stay tuned for events like the A.W. 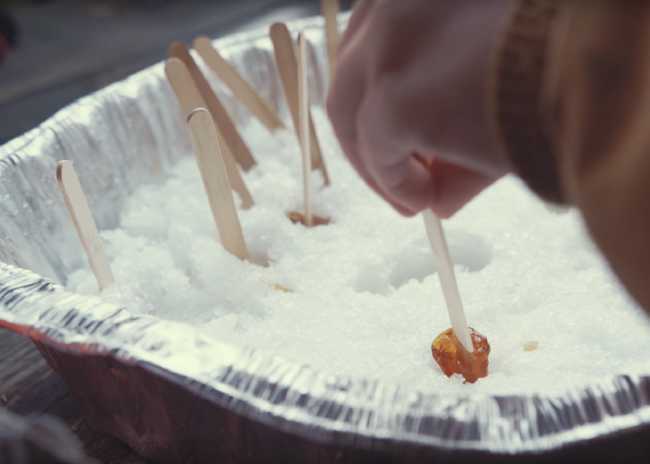 Campbell Maple Syrup Festival where you’ll have the opportunity to learn about the history of natures candy and plenty of hands-on experiences! 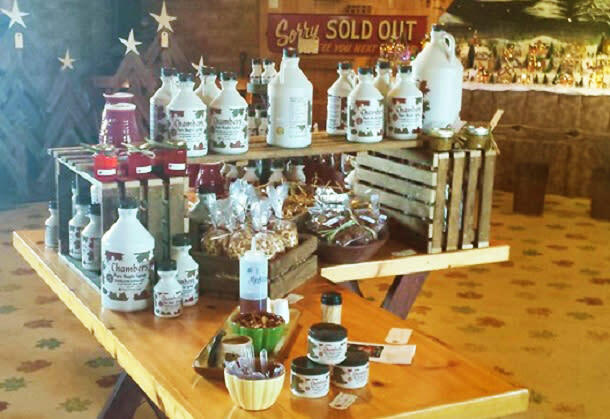 Featuring an extensive collection of maple products made from the family sugar bush, Chambers Maple Shop in Waterford is a must stop for maple syrup lovers in Norfolk County. Pick from fresh maple syrup, maple candies, maple butter, and even maple floss! From three trees to over 3,000, Ryan’s Sweet Maple is a family business dedicated to making the highest quality maple products around. From their trees to your table, Ryan’s is definitely a spot you won’t want to miss out on. Getting the whole family out in the winter can be tough, so whether you take a trip to your local sugar bush or your local farmers market, make sure to get a taste of the region&apos;s fresh maple syrup this season. It’s the perfect pairing for your warm and fluffy pancakes and the perfect chance to make plenty of memories.